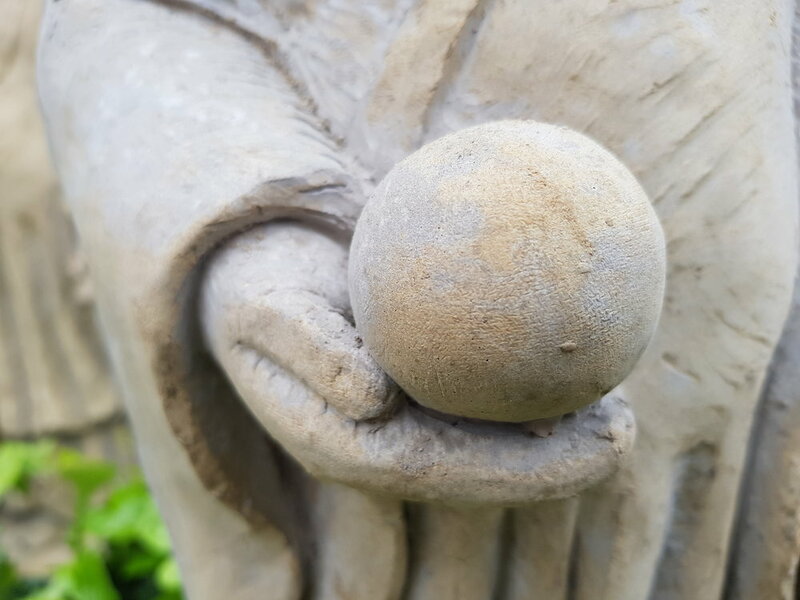 This week Mizuko jizo statues have been placed in Crossbones Garden as a focal point for people grieving the loss of a young child or baby for whatever reason. Crossbones sits on the site of a post-medieval unconsecrated pauper’s burial ground where an estimated 15,000 people are buried, over half of whom are children. Reflecting on this history, we were approached by several parents who had experienced loss asking for a space in the garden. It was suggested that this space should be created following the Japanese tradition of Mizuko kuyo – a Buddhist ceremony for those who have had a miscarriage, stillbirth or abortion – which is gradually being adopted in the West. As part of this tradition Mizuko jizo statues offer a place of contemplation and are believed to be protectors of children and unborn babies. In Japan, offerings are made to the statues and stones may be laid next to them for the souls of children. Offerings include red bonnets and bibs, symbolising love, energy, life and protection. All are welcome to lay their own offerings to the Mizuko jizo at Crossbones. 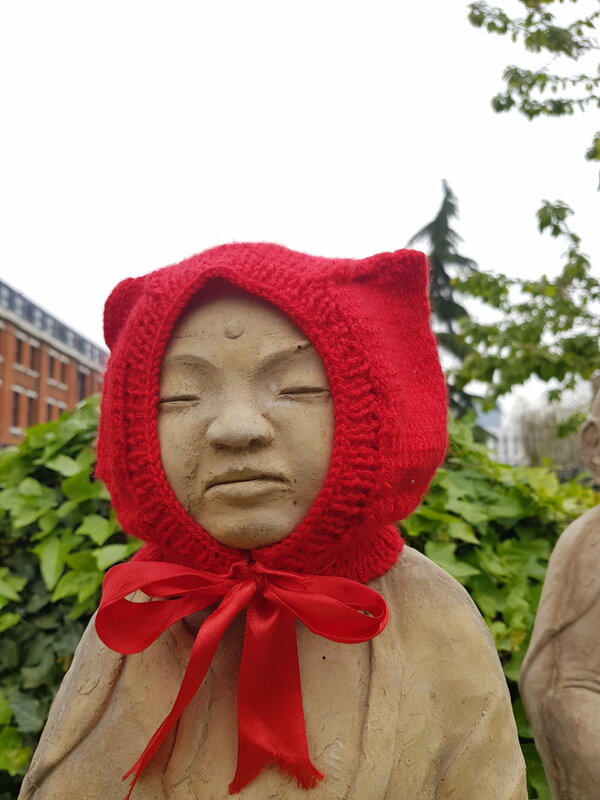 Our statues were created by local Bermondsey stone craftsman Josh Locksmith and is based on a painting of Buddhist deity Jizo, believed to be responsible for transporting unborn babies or children to the other world. The god is depicted making the Buddhi mudra, a hand gesture made to improve mental clarity and communication. In the hand is the ‘jewel of wisdom’, which in Buddhist faith helps people to understand themselves and others and their place in the universe. We marked the installation of the statues with a small event for parents and families, including Easter crafts and an egg hunt.